We collect and record all garbage that we bring on board to our research boat during the study season and also collect data on the effects that marine debris and pollution are having on our marine wildlife. In 2017, we discovered that the local bottlenose dolphin population, which has crashed over the 4 years that we have studied it, has a 25% rate of lobomycosis, a pustular skin condition that is contagious and deadly to humans upon contact. Lobomycosis is caused by pollution runoff. This is the first recorded case of lobomycosis in Mexico. We are preparing a manuscript and outreach materials about this concerning discovery. 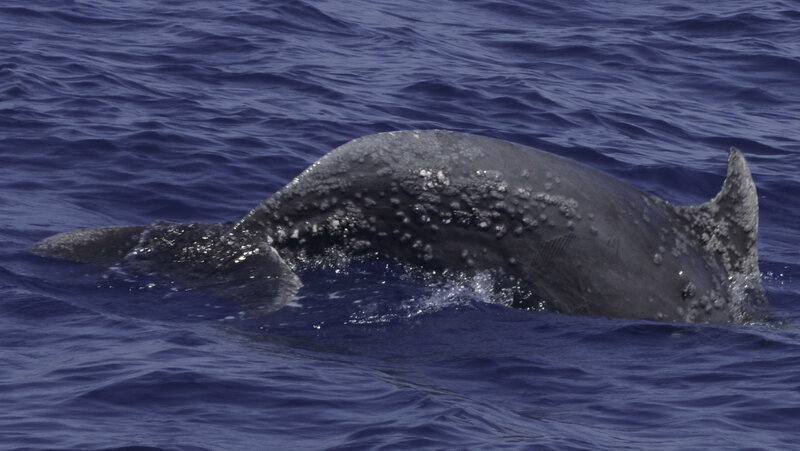 Bottlenose dolphin with lobomycosis-like skin condition, caused by polluted water resulting from runoff. We disentangle several sea turtles every year that have been captured in nets and also record mortalities of sea turtles and all other marine wildlife observed in the region. 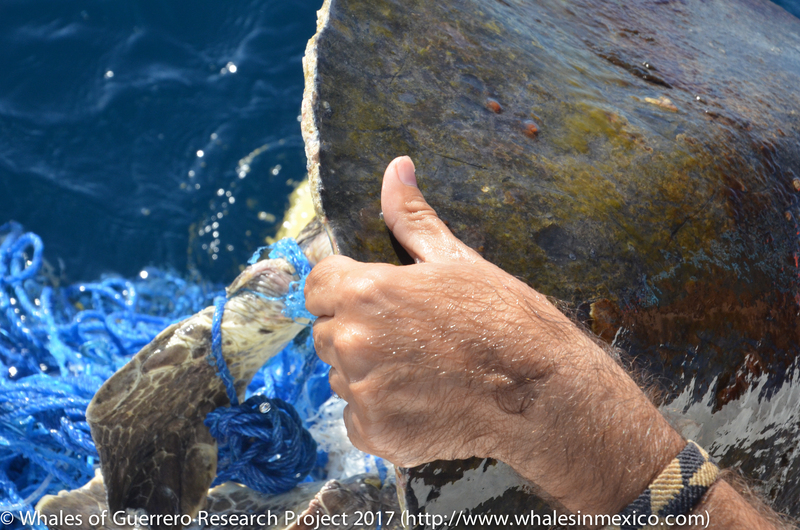 We compile and distribute reports on all marine mammals which are found stranded or dead in the water to the Mexican marine mammal stranding network. 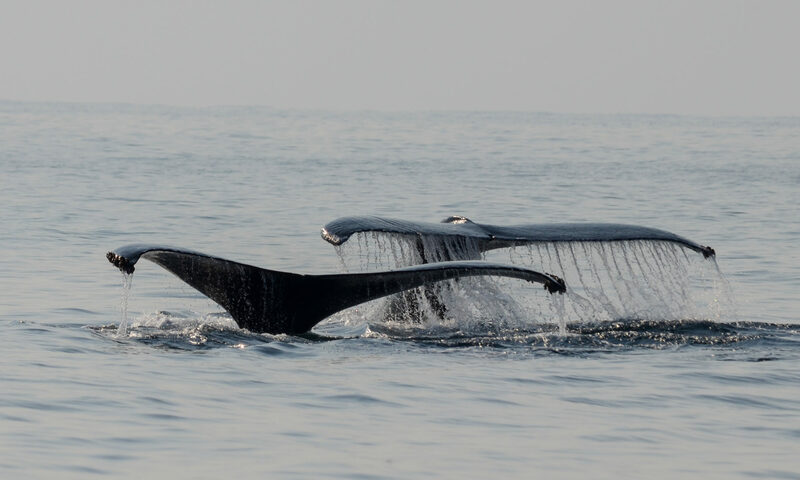 This is beginning to help us form a picture about the relationship between commercial long line tuna boats, commercial shrimp boats and large marine mammal mortality events.